Item # 315374 Stash Points: 395 (?) This is the number of points you get in The Zumiez Stash for purchasing this item. Stash points are redeemable for exclusive rewards only available to Zumiez Stash members. To redeem your points check out the rewards catalog on thestash.zumiez.com. Show love for your favorite sportswear brand with the Blue Sticker from FILA. 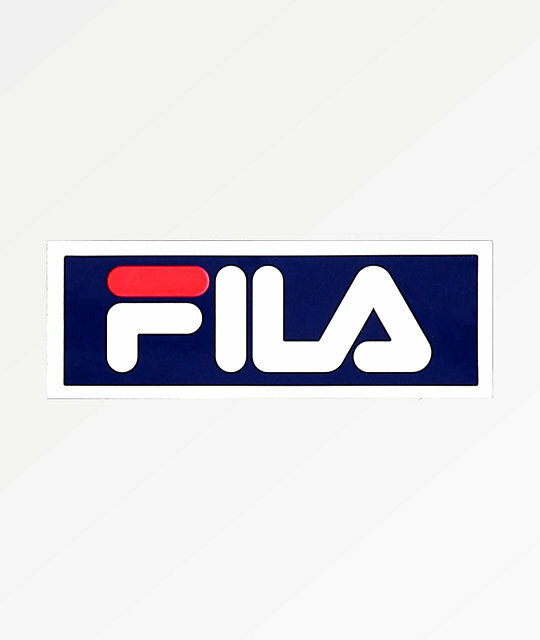 This sticker features easy peel and stick backing and displays a graphic of a white and red FILA logo on a blue background, for an accessory that is ready to add some branded flair to anything you stick it to. Graphic of a white & red FILA logo on a blue background. 2.5" x 1" &vert; 6.5cm x 2.5cm (approx. ).